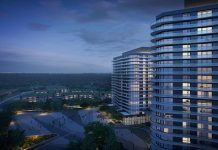 Fortress Real Developments Inc., a Richmond Hill based real estate development and investment company, has entered into agreements on several high profile sites in partnership with some of Canada’s top developers, the company says in a news release. 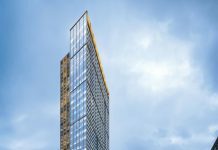 “The six projects include two new mid-rise buildings in Toronto and Woodbridge with Cityzen Development Group and Fernbrook Homes, as well as a high-rise downtown Toronto tower and a pair of low-rise projects in Nobleton,” the announcement said. Cityzen, headquartered in downtown Toronto, has been part of 22 projects over the past 14 years and completed more than 4,500 units with over 2,000 under construction and another 9,000 under development. Fortress said it has also acquired the Brookdale project on Avenue Rd.. Fully approved by the Ontario Municipal Board and over 50 per cent sold, Brookdale is only the second new condominium project to come to this neighbourhood in the past decade. Fortress has also acquired a site in the Spadina and Adelaide area to develop with Cityzen that will launch later in Q1 of 2015. Frank Margani, executive vice-president at Fortress said in the news release that the “new Adelaide project will be our fifth in the area, with two already under construction and one topping off on the very same street. “The old adage holds true – location, location, location. With location having been fully underwritten, the next piece of the puzzle is the partner, and I’m hard pressed to think of any other new partner we wanted to work with more than Cityzen, given the great relationship we’ve formed,” he said. Cityzen has also partnered with Fortress on two low-rise sites on Highway 27 in King Township currently referred to as Nobleton North and South internally. “The new low-rise market in the GTA experienced strong absorption in 2014 despite a continued lack of available supply, especially in York Region,” said Ben Myers, senior vice-president at Fortress.